After the landslide election of a new Labour government in May 1997, what are the key social policy issues and problems which the new government needs to address? 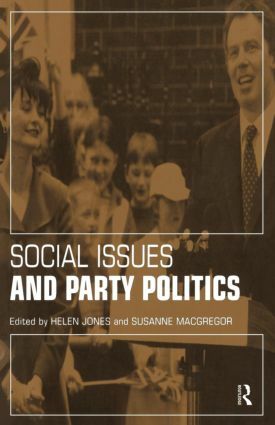 Social Issues and Party Politics looks at the manifestos of the main parties and the way social issues figured in the 1997 election campaign and the early days of the new government. Chapters discuss green issues, the management and financing of welfare in contemporary Britain, the delivery of key services in health, education, employment, criminal justice, housing, personal social services, pensions and other areas of social security. The particular circumstances of Northern Ireland, Scotland and Wales are also examined. Social Issues and Party Politics takes social policy beyond the soundbite and provides a convincing and incisive analysis of current social policy approaches and inherited problems. It identifies the deep social questions which will need to be addressed if Labour is to deliver on its promise of a new Britain.